Do you live in the GTA? Tired of the busyness of the city? You have come to the right place. An hour and 45 minutes from Toronto is a small town called Dunnville, Ontario which is part of Ontario’s Southwest. 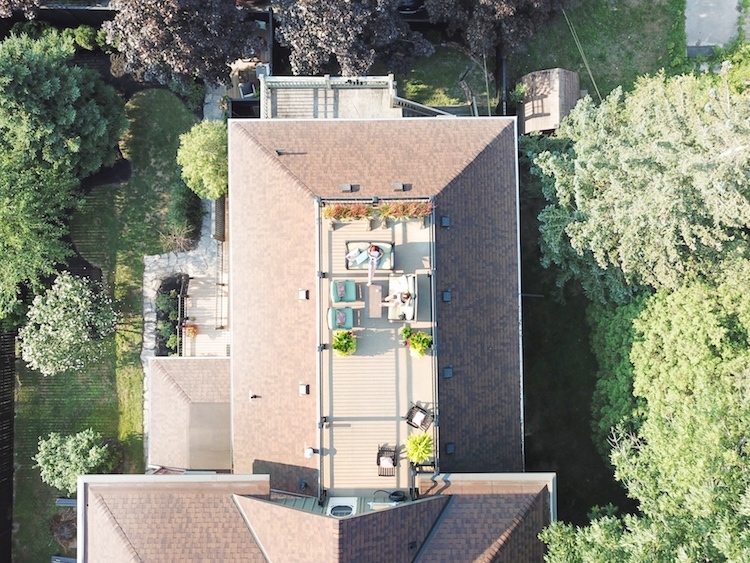 It’s a community of 12,000 people located along the Grand River on Highway #3, between the Niagara and Hamilton regions, and less than an hour away from the U. S. border. 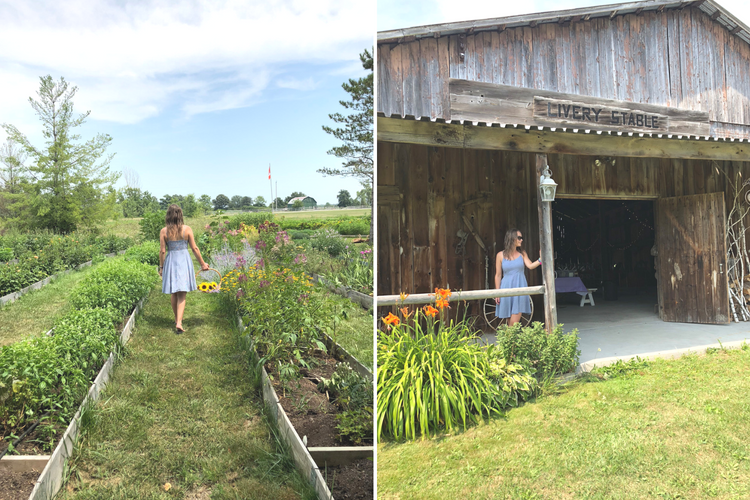 In this post, I’m going to share with you my favourite place to stay, where you should eat in Dunnville, as well as fun activities around the area. Make sure to stay till the end of the post as I’ll be posting my Dunnville VLOG! This is an easy choice. You NEED to stay at The Reeve Bed and Breakfast. They offer one and two bedroom suites with private bathrooms and living rooms. You also get a complimentary bottle of their wine – which is a must try. Before staying at The Reeve Bed and Breakfast, I had never stayed at a B&B before. I was a little nervous as I always had the idea that it would feel like you were invading someone’s house but I was wrong. It was one of the most relaxing weekends I had in a long time. Dee and I did the ‘Reeve the ladies us! 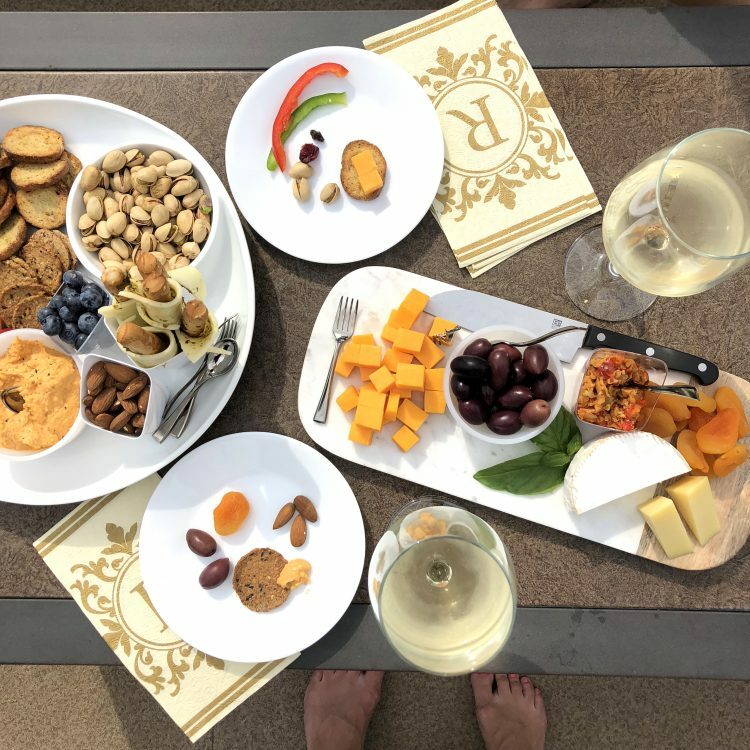 – Girls’ Getaway Package’ which offers everything you’d want in a girls weekend including 2 bottles of wine, popcorn and candy bags, in-suite movies, in-suite pizza night (or appetizers), personal tarot card reading, 3-course dinner at a local restaurant and an off-site experience. If you want to see more about what the girls weekend looked like make sure to watch our VLOG. 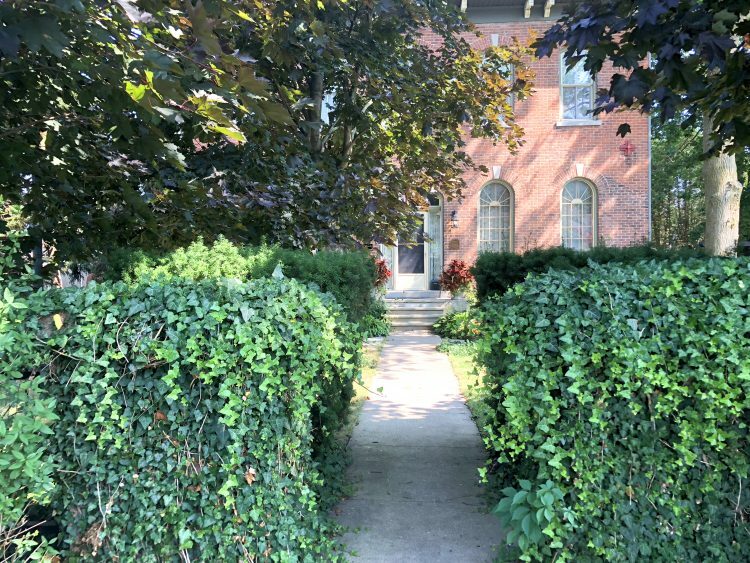 Also, scroll down to What to do in Dunnville, Ontario to see what experience we did. 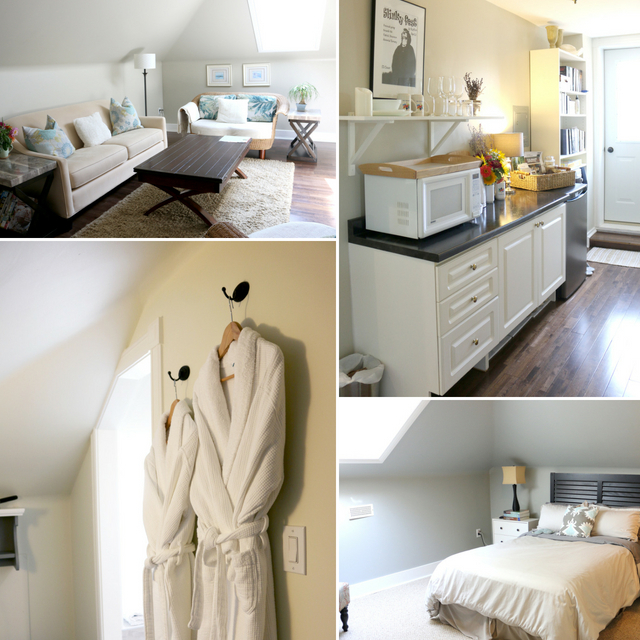 The VLOG also contains a full room tour of our two-bedroom rooftop suite! 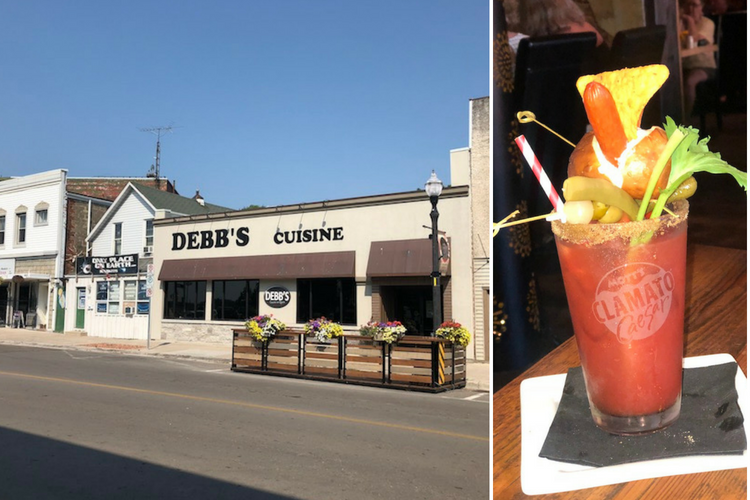 When in Dunnville, you need to visit Debb’s Cuisine. Before we even visited the restaurant pretty much anyone that we spoke to talked about how good it was. They were not wrong. We started our dinner with their signature drink which was a massive Ceaser and I’m not kidding – it was like a buffet on your drink. As for the food, we both started with a salad and for the main course I got a Portabello Veggie Burger and Dee got the Seafood Pasta. Both did not disappoint. 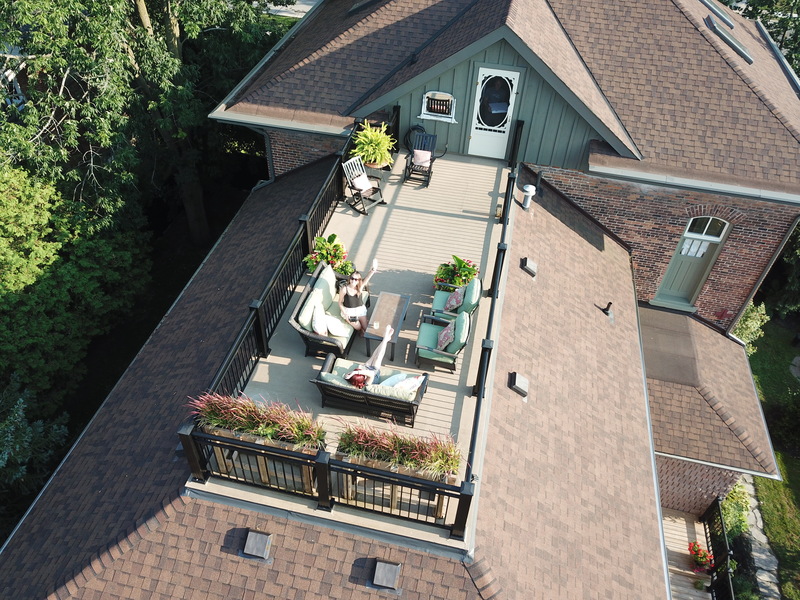 When staying at The Reeve Bed & Breakfast, breakfast is provided on weekends but during the week they send their guests out to a local restaurant. 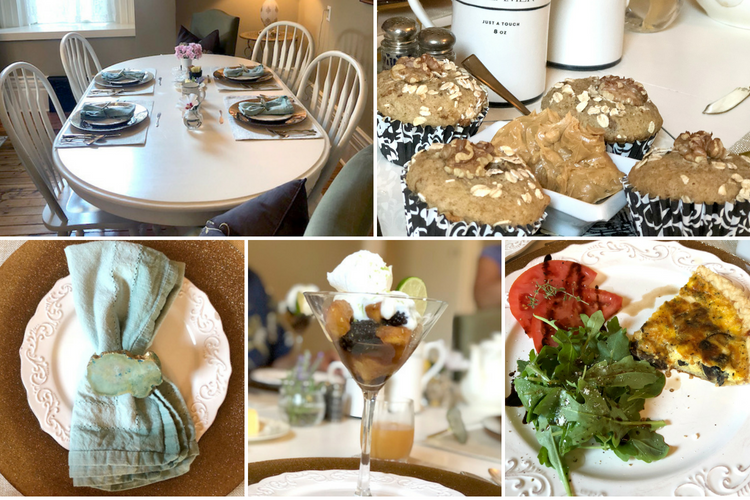 The Reeve Bed & Breakfast serves a 3-course breakfast and uses farm fresh, locally sourced, fruit, homemade baked goods and organic, local free-range eggs. Dee and I got to try Knowles Restaurant which is a 1950’s style diner. Steven King’s television mini-series starring James Franco was even filmed there! 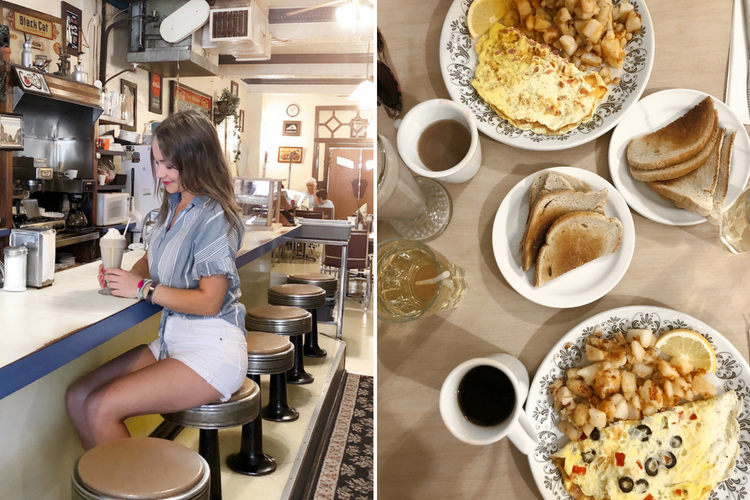 We all know cute diner photos are all the rage on Instagram, so you can’t miss this stop when visiting Dunnville. If you’re looking for another place to eat and/and grab a drink check out Queen’s Merritt Room. Built in 1837, they have a beautifully carved bar, tin ceilings and Tiffany lamps. They are located right next door to Debb’s Cuisine which makes it the perfect place to enjoy a patio beer before or after dinner. 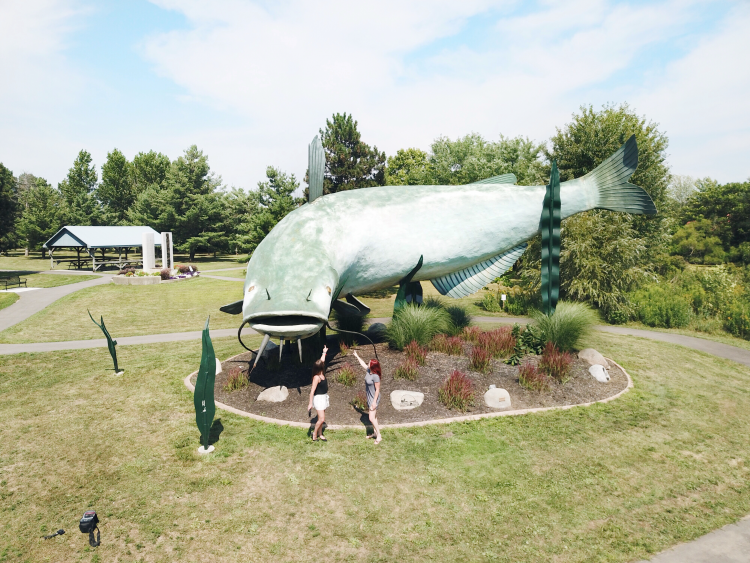 Muddy, the Mudcat is the world’s largest Catfish making him very hard to miss when heading into Dunnville, Ontario. Surrounded by a beautiful park visiting Dunnville is not complete unless you take a photo with Muddy! 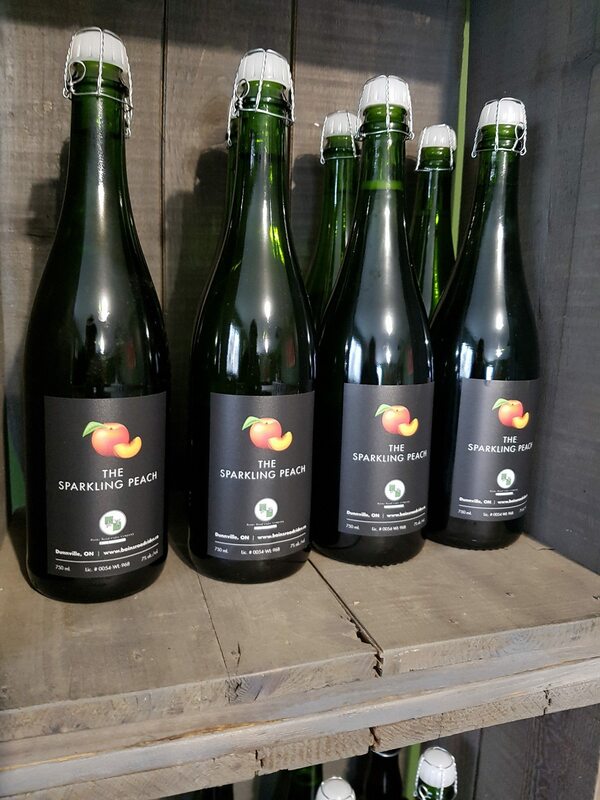 Hidden away on a quiet road is Bains Road Cider Co which is Haldimand County’s one and only winery. Delight your taste buds with samples of their homemade ciders that include flavours such as apple, pear, peach, sour cherry and even pumpkin! I can’t say that I had a favourite, they were all very delicious and offered their own unique taste. While you’re there say hello to the many animals that wander the grounds! Spend a relaxing afternoon with Kim, the owner of Purple Haven. Purple Haven is a family owned and operated lavender farm in Haldimand County. You might have even seen her already at local farmer markets if you’re in the Hamilton area. 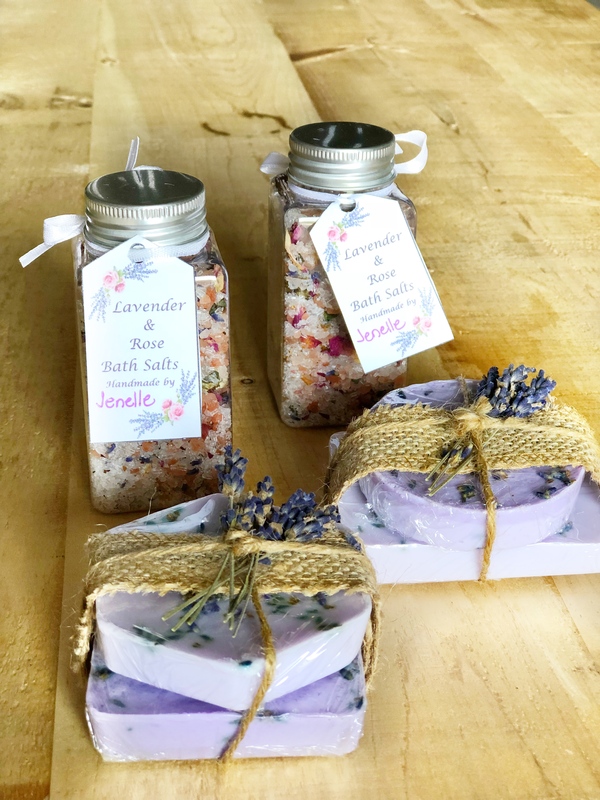 During the 3 hour experience with Kim, she will teach you how to create your own lavender soaps from melting, pouring and even packing up your 4 different soap bars. In addition to making your own soap bars, Kim will also help you create 2 jars of luxurious bath salts. I’ve tested mine out and let me tell you, they add another level of relaxation to your bath. After all your crafts, you’re going to be hungry! You’ll have the chance to sip on homemade lavender lemonade and munch on some delicious lavender snacks. Check out Purple Haven‘s website for information about their Lavender Experiences. Located 30 minutes from Hamilton Windecker Woods offers a unique experience allowing you to pick your own flowers and create your own flower arrangements including a vase. While you’re there you can also take advantage of the many photo opportunities available. Photo shoots with their rustic barn, covered bridge, fields, forests, or many flower gardens will help make stunning Instagram photos! If you love cheese then you’ll want to check out Cheap Shabby Chic‘s charcuterie boards that are made by a local woodworker. Candy obsessed? Then visit Sweet Retrospect. They’re famous for their Chicago Style Popcorn and also offer the best throwback candy! It’s also the perfect place to grab some ice cream. If you’re feeling artsy, visit LVW Barracks. They offer classes as well as drop-in art creation. Read more of my travel content here. This Post was sponsored by Ontario Southwest. All opinions are my own.